Prototype: Klockner-Werke AG switch engine, road number 5, used for switching work on the property of this firm's mine. Former German Federal Railroad (DB) road number 80 014. The locomotive looks as it did around 1970. 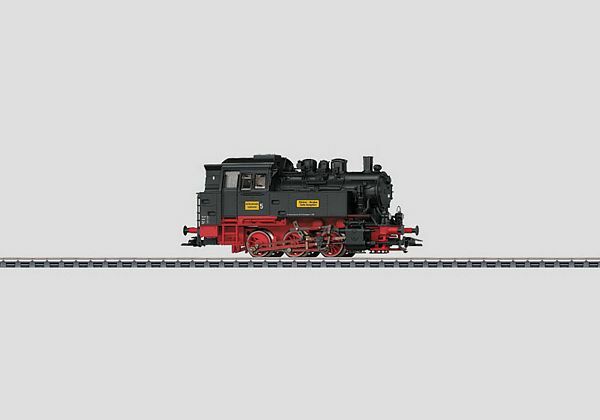 Model: The locomotive has an mfx digital decoder and controlled high efficiency propulsion. 3 axles powered. Traction tires. The triple headlights change over with the direction of travel, will work in conventional operation, and can be controlled digitally. The locomotive has many separately applied details. Length over the buffers 11.1 cm / 4-3/8.